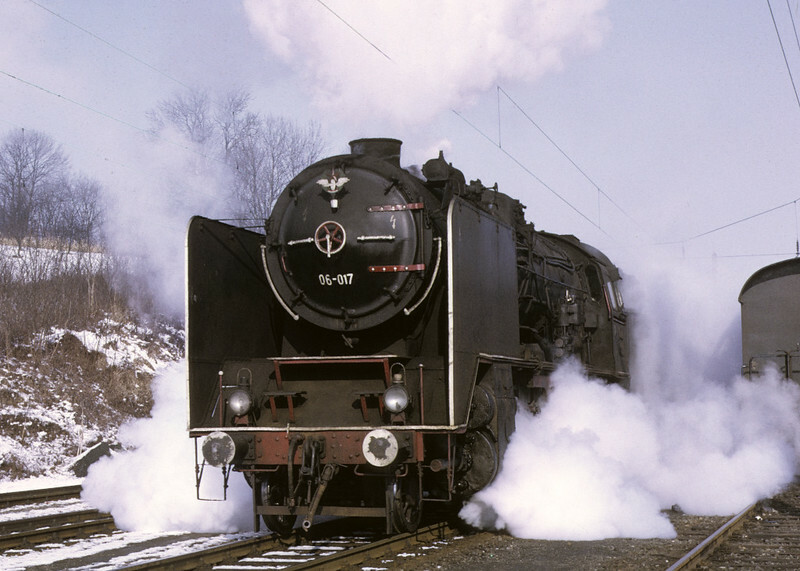 Six photos by Les Tindall of Yugoslav Rlys (JZ) 2-8-2 06-017 taking over the Vienna - Belgrade 'Beograd Express' at Spielfeld Strass, just inside the Austrian border from what is now Slovenia. Yugoslav Rlys (JZ) 06-017, Spielfeld Strass, Austria, Sat 22 February 1975 1. The Yugoslav 2-8-2 moves into position to take over the Vienna - Belgrade "Beograd Express" from an Austrian loco. Photo by Les Tindall.